Modern. Classic. 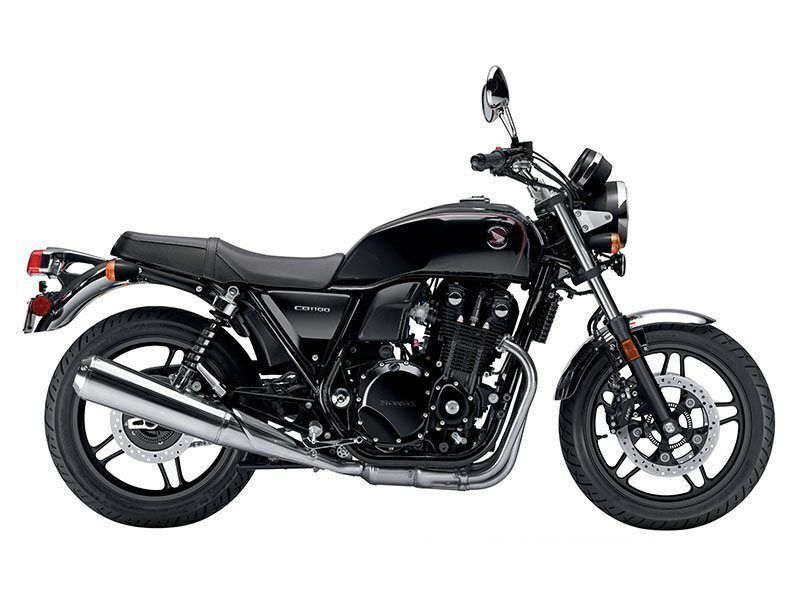 Though the CB1100 pays homage to Honda's long line of capable, reliable and fun street bikes, we wouldn't look to the past without looking forward. This is a modern bike for riders that love to ride. Its 1,140 cc, fuel-injected inline four is powerful and smooth, its chassis and suspension are agile and responsive, and it's comfortable around town or on weekend rides. It’s a bike a whole new generation of riders is going to appreciate. 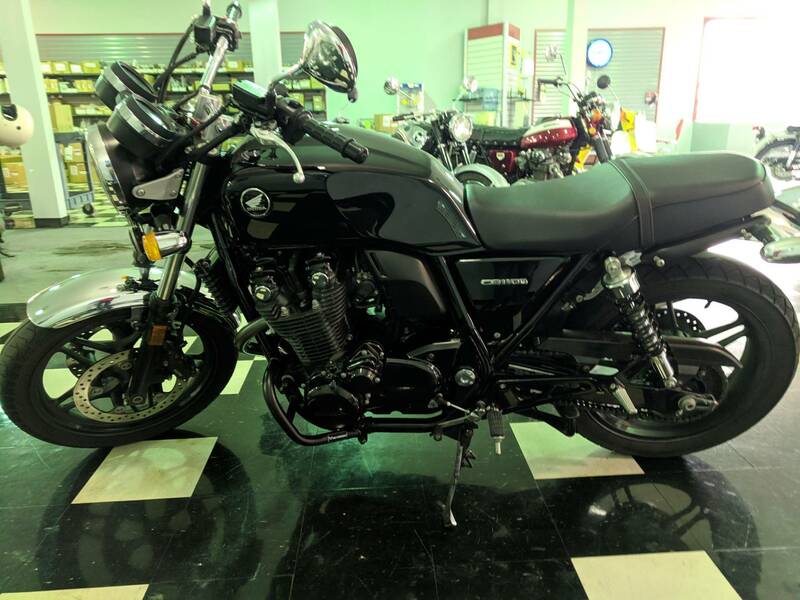 A traditional design, the 41mm front fork features spring preload adjustability and is plenty strong for sporty rides—along with the wide bar, it gives the CB1100 a light feel around town. Combined with the CB1100’s steel-tube full-cradle twin-loop frame, the stout aluminum swingarm is part of the CB1100’s excellent handling package. 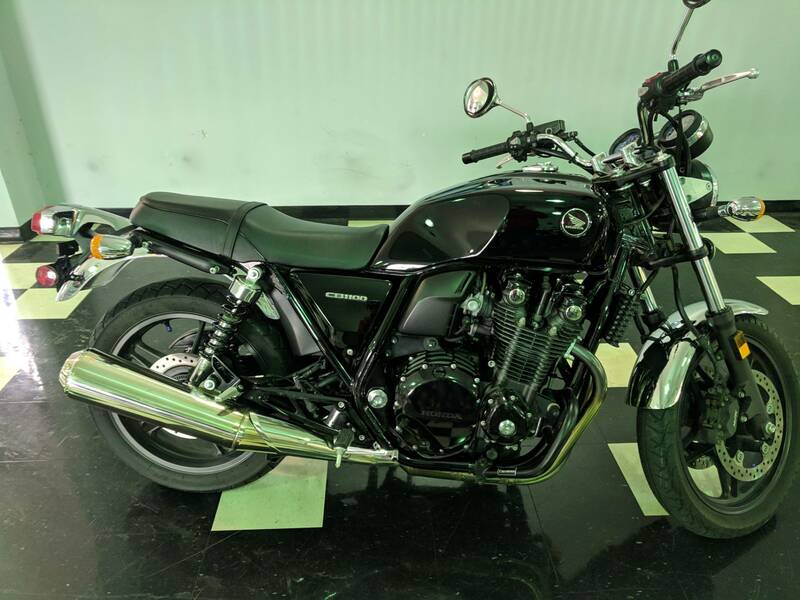 Light and easy to keep clean, the CB1100 wheels contribute to the bike’s performance and handling, while acknowledging the timeless look of Honda’s classic machines. 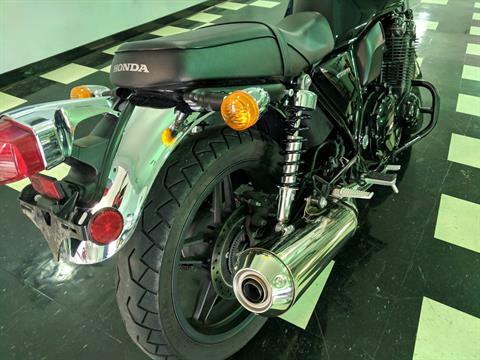 Honda’s classic inline-fours were very comfortable, and it’s the same for the new CB1100. Ride it for 10 minutes or two hours and you’ll see that it’s one of the easiest-to-live-with machines in any class. For 2014, the Deluxe model adds a longer, stitched-look saddle. The CB1100’s four-into-one pipe gives this bike a crisp sound, and the chrome finish is a great highlight, too. 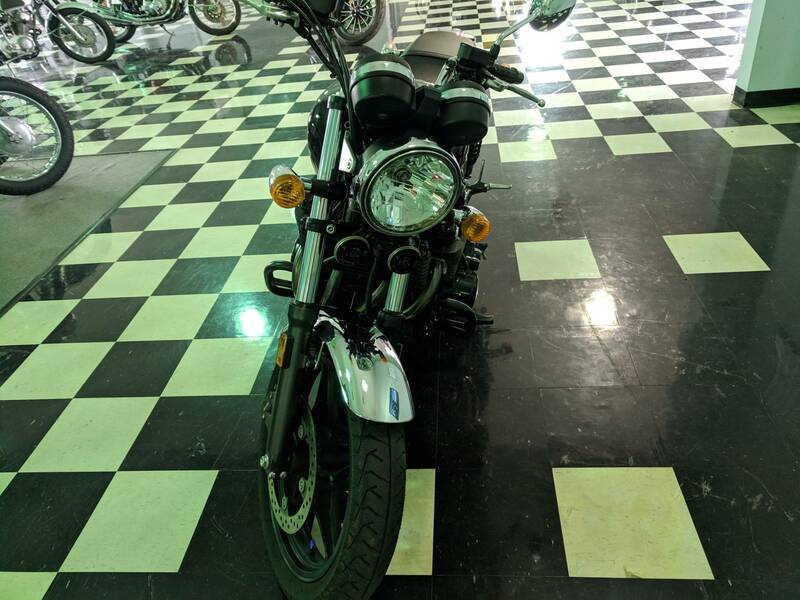 The polished aluminum accents on the CB1100 are more expensive, but they are an example of the quality, design and detail that make the CB1100 a uniquely premium motorcycle. Improved cold-weather startups, no-drama high-altitude riding and no choke are just three benefits of PGM-FI. The chrome-rimmed speedometer and tachometer are both analog and easy to read. What could be better than that? The new CB1100 also offers a digital clock, odometer and an updated trip computer for 2014. 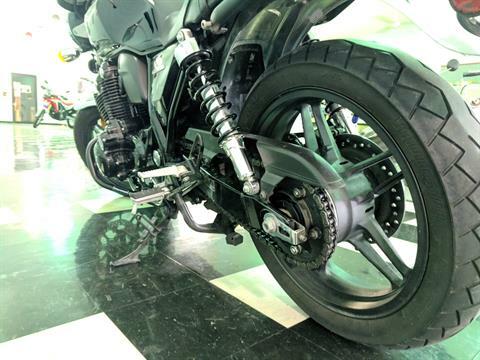 Nothing retro here: the CB1100’s huge twin front discs and single rear disc are drilled for lighter weight and less heat retention, and offer smooth, predictable, powerful stopping capability. The Deluxe model offers available ABS. Easy to adjust and equipped with preload adjustability, the CB1100’s rear suspension proves that the traditional design, done right, can still provide excellent handling characteristics.